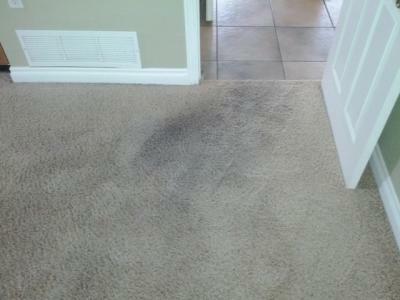 No Residue San Diego Carpet Cleaner is giving away his Amazing carpet cleaning services for Free! For home owners who are first time clients:Congratulations, You've Won! 1.First I'll cover all the problems your carpet has. I'll check for 'unwanted' stains. I'll tell you whether or not they can be removed and how. This includes pet stains and other difficult stains. 2. I'll calculate the wear age of your carpet. Your carpet may be 10 years old but only have a wear age of 2 years. However your carpet may be 2 years old but have a wear age of 10 years. I'll explain how long it will be before you will need to get new carpet and I'll give you a 'prescription' to make your carpet last as long as possible. 3. I'll determine if your carpet is in good health.Oh, you've never thought of your carpet as having good or bad health. Well just like people, if a carpet is in bad health it will not live long. Healthy carpets are great for healthy wallets and for healthy people.Yes, your carpet's health can affect your and your family's health. Just like you track in dirt from the outside, you also track in car exhaust, cigarette smoke, asphalt, chemicals, dust, germs, pollens, tar, soot and many others. These pollutants get lodged into your carpet just like dirt. Clean Carpets Reduce Indoor Air PollutionYou've heard the hype about indoor air being more polluted than outdoor air. Well, it's true. The main reason is because indoor air is trapped. Rarely does it get completely replaced. Outdoor air on the other hand gets blown away and new cleaner air replaces it. Trapped indoor air gets pollutants in it from your carpet. You drag them in, they get lodged in your carpet. Then when someone walks over them, they get re-dispersed into your air and you and your family breathe them. Over and over. That's why indoor air is more polluted than outdoor air.There is a way out of this vicious cycle. Getting your carpets cleaned thoroughly and regularly gets rid of these pollutants in your carpet. 4. I'll also test your traffic areas. Traffic areas are the main spots that get walked on constantly. They usually visibly look more worn and dirtier. I'll tell you how you can make your traffic areas look as good as the rest of your carpet. 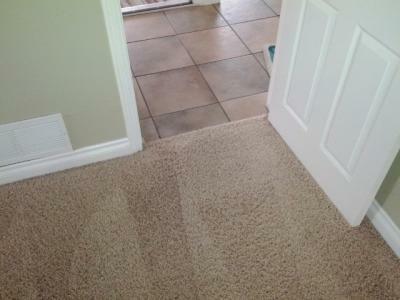 One Room Of Free Carpet Cleaning (Up To 150 SF) There is absolutely No cost and No obligation. No teeny, tiny print. No strings attached. Although you must be a new Client and a homeowner.This will just give both you and me a way to get to know each other. You'll get to see how we turn tired, old carpet in to plush, new-looking, luxurious carpet - the kind you bought!If you totally fall in love with your one clean room, I'll give you a written quote of how much it'd be to make your whole house look that good! But only if you choose. One Room Of Free Carpet Cleaning And A Free Carpet Audit™You better hurry though. I can only hold this Amazing offer until April 30th. After that I'll have to give it to someone else. If you have any question you can call me at 619-275-5555 , tell me you’re calling off of my website, we’ll talk and then if you want you can schedule your Free Carpet Audit™ plus your free room of cleaning!Sincerely,Jayson YavorskyPENINSULA CARPET CARE.